Quality Products Start In the Soil! Alive Market is committed to creating high quality products by utilizing natural techniques that give back to the Earth. Our hemp is grown in Southern Colorado using 100% no-till and living soil practices. The soil is the foundation to growing healthy plants. Hemp is a bioaccumulator, meaning it absorbs heavy metals and other environmental contaminants into its cells. Therefore, it is crucial that none of these contaminants are present in the soil, in order to produce the highest quality product possible. This is achieved with no-till, living soil, which is an organic, sustainable farming practice that utilizes natural decomposition of the plant to provide nutrients for future growth. Tilling is the practice of removing the fallen plant material from the soil surface prior to planting. Since we do not till the soil, all of that fallen plant material is left to decompose naturally, increasing the beneficial and nutritious microbes of the soil, i.e. a "living" soil. This method conserves the fuel and time that would be needed to till the soil, and the insulated top soil helps to reduce water consumption. Furthermore, this eliminates the addition of heavy metals and other contaminants from the tilling machinery into the soil. 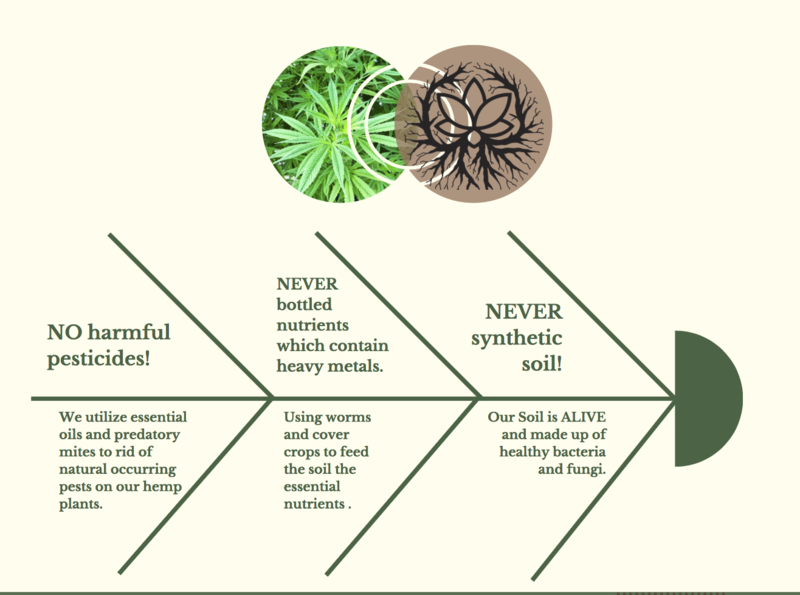 Alive Market's soil is 100% free of synthetics, pesticides, and other such contaminants. We understand the importance and effectiveness of natural farming practices in order to create a more pure and holistic product. There have been long traditions of unproductive practices in agriculture that consist of tilling, or breaking up, your soil after harvests. This alone breaks down the mycelium web produced through plant growth and takes away from the potential health and vitality of nature itself. 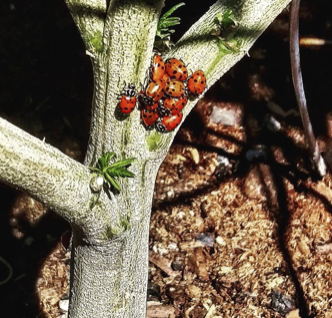 The CBD plants that produce Alive Market's CBD oil have healthy vibrant foliage and have shown the immense importance of no-till permaculture and regenerative farming practices. The connection between plant roots and fungal webs are crucial to the plants terpene profiles. CLEAN FLOWERS PRODUCE CLEAN OIL THAT YOU CAN TASTE! CBD hemp flower, grown in America with no-till living soil, has a potent amount of terpenes and cannabinoids that produce a clean, amber-colored CBD oil.